It's Not All Genes: Getting Evolution Right When Explaining Human Behavior : 13.7: Cosmos And Culture It's time to move beyond models of human behavior centered in genes and natural selection, says anthropologist Barbara J. King, who takes a look at a new paper on the topic. One thing I've always loved about anthropology is its commitment to understanding humans by bringing to bear two divergent perspectives: evolutionary science, aimed at understanding the contribution of biology to our behavior, and field ethnography, a process whereby the anthropologist works to understand a social group's lived experience in the modern world from the inside out. Now, a new paper by biological anthropologist Agustin Fuentes of Notre Dame University, coming in the June issue of Current Anthropology (and already available online in open-access format), suggests that anthropologists can, and should, do a much better job of bringing together these two frameworks. Fuentes writes that he wants to "help frame a sincerely anthropological and emphatically evolutionary approach to the human experience." Fuentes is weary of a heavy focus on genes and natural selection in the evolutionary modeling of human behavior, because this view of human phenomena — mating behavior, let's say, or human aggression — misses the richness of being human. We need, and in fact we have at hand, new tools to bring real-world, messy complexity into evolutionary modeling and to recognize feedback across different levels of selection beyond the individual. Niche construction theory is one of these tools. In undertaking work in a so-called extended evolutionary synthesis (EES) framework, Fuentes builds on the work of biologist Kevin Laland at the University of St. Andrews. Earlier this week, I had this email exchange with Fuentes — edited here for length and clarity. Is there a way you could put into accessible language the key concepts of EES and niche construction theory? A niche is a combination of the ecology in which an organism lives and the way it makes a living in that ecology. Niche construction is when organisms shape the world around them making their "niche" better for them and their offspring. Humans are massive niche constructors. Marriage rules, medical practices, growing food, building shelters, tools, clothes, and so on all shape the world around us and effect evolutionary pressures on us. Most people think "survival of the fittest" is a "thing" and DNA and genes are all that really matters. Both counts are wrong. Evolution is an awesome mix of bodies, ecologies, behaviors, chemistry and history. We know more about how life works, and the range of systems that impact it, than ever before. 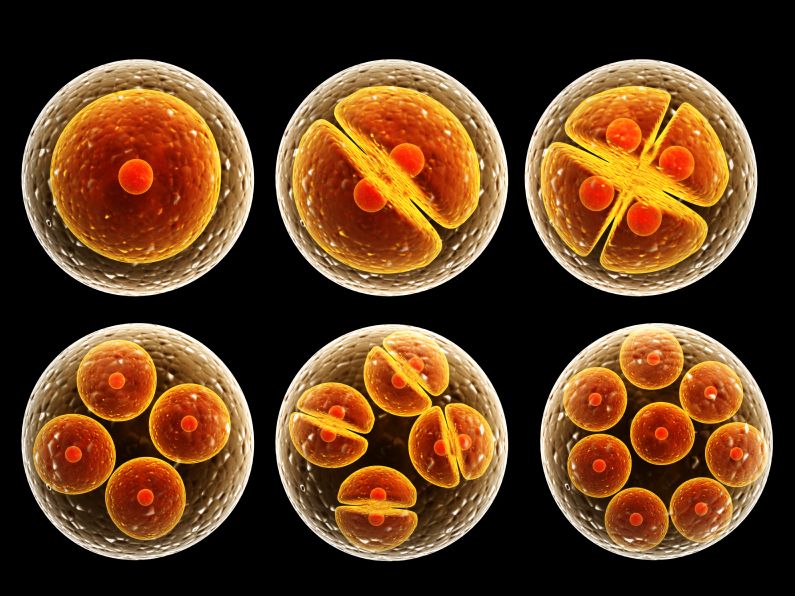 I paraphrase Laland and his colleagues to summarize what we know: Organisms are constructed in development, not simply "programmed" to develop by genes...things don't "evolve" to fit into environments, they co-construct and co-evolve with their environments. You seem equally sympathetic to biological/evolutionary anthropologists who want updated understandings of evolutionary theory to be included as we work to understand the human experience, and to sociocultural anthropologists who find existing popular evolutionary models to be too reductive. Can you give an example of the popular evolutionary approaches you mean, that are in fact too reductive? One approach [that is too reductive] is to think our DNA, our bodies, and our behavior are primarily shaped by pressures of reproduction and survival (it's all natural selection, or at least the important parts are). Natural selection explains our nature. For example, men are hunters, men are violent, males evolved to be violent because it helped them as hunters. [On this view] there must be a gene (or a few genes) that led to this state. For example take Monoamine oxidase A (known as MAOA and called the "the warrior gene"). One version of this gene is associated with hyper aggression in males (it is little studied in females). However, expression of this gene is related to childhood stressors and life experience. We see that a slightly larger percentage of men with the "aggressive" version of this gene (compared to those without it), who live through real childhood trauma and social stress are highly violent and have trouble controlling their behavior as adults. But many of those with the "warrior" version of the gene don't have these problems at all (me, for example). These same kinds of complexities are true for serotonin, testosterone and the other hormones and neurotransmitters associated with aggression. There is no consistent system or pattern in the human body or mind that we can point out as the seat or the main actor in aggressive behavior. Violence is not a single thing and MAOA research demonstrates all sorts of complex and mixed effects (and many of them have nothing to do with violence). Much ink has been spilled over the years on the "anthropology is at war with itself" meme, highlighting the split between anthropologists who cede great explanatory power to selective forces and those who focus heavily on sociocultural explanations for human behavior. In its tone and specificity, I found Fuentes' article fresh and appealing. He proceeds with balance rather than playing up this divisiveness. Reductive evolutionary accounts of human behavior aren't the only game in town. Attention to more expansive, rigorous models can fuel exchanges across scholarly factions. Further, in a concrete example focused on what he calls sexual partnering (a more apt term for sexual bonds and alliances, he believes, than "mating"), Fuentes lays out the dynamic feedback he envisions in niche construction across three levels: individual, group and community. He explains, for instance, community-level social processes that, as people go about expressing their sexuality, "create social landscapes and contexts that become their own structured and structuring feedback systems." Fuentes himself calls his paper "an oversimplification" of human dynamics, and my summary exacerbates the matter by oversimplifying what he's done. Remember though, it's all open access, so you can read his argument for yourself. I see Fuentes' take as a welcome step in linking "the human cultural experience in all its complexity and dynamism to evolutionary models," as he puts it. Barbara J. King is an anthropology professor at the College of William and Mary. She often writes about human evolution, primate behavior and the cognition and emotion of animals. Barbara's most recent book on animals is titled How Animals Grieve. You can keep up with what she is thinking on Twitter: @bjkingape.